During today's DC Comics - The New 52 panel at WonderCon, Batman writer Scott Snyder was on-hand to discuss the upcoming first issue of his new series Superman Unchained, being produced with former Justice League artist Jim Lee. The series "This is the Superman story I would tell if I had one chance. It's got a lot about American history, there's a new villain. It's a lot about Lois, it's a lot about Lex," Snyder said, adding that the four-page, fold-out poster that's been widely discussed is all about showing the scope of the threat that Superman faces. 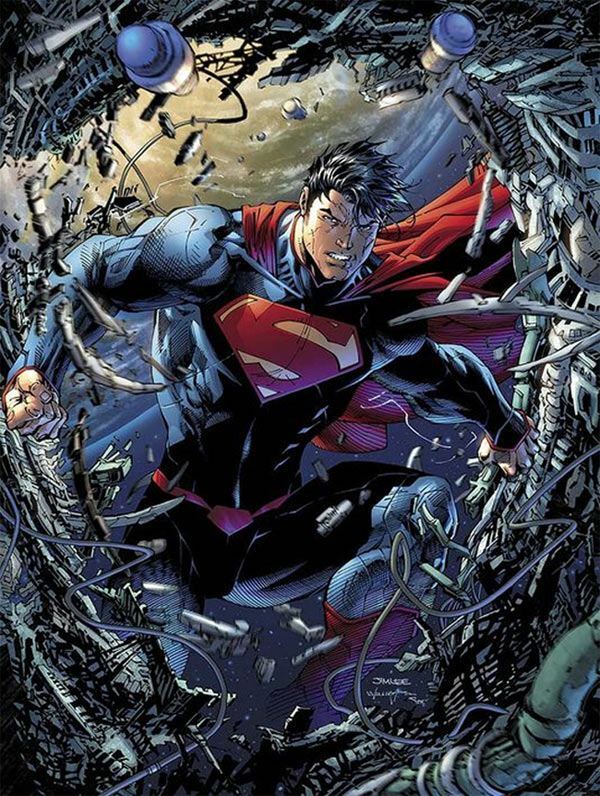 That image, and the comic in general, "is all about how Superman carries the weight on his shoulders," Snyder said. "The book is about alienation, how difficult it is to be Superman, to have the moral compass that he and Lois have, in a world that doesn't always reward that." And while their methods might differ wildly in a lot of other areas, that moral compass is, of course, something that Superman shares with Batman. The writer revealed last night that that relationship will be explored, too, as Superman appears in Batman and Batman appears in Superman Unchained, at the same time Greg Pak is beginning a run on Batman/Superman which will explore the pair's earliest days. Of course, since Snyder is doing The Zero Year in Batman coming up, that might mean that his Superman appearance and Batman/Superman actually happen around the same time.